Raj, Rerun, & Dwayne are desperate to see the Doobie Brothers in concert. Rerun gets roped into illegally recording the concert. Roger has to babysit Dee and miss the big party at Betty's. But where there's a will there's a way, though there may not be a way to explain to Mama where Dee disappeared to when Raj was gone. Raj and Dee help a young singing group get on "The Gong Show", Rerun auditions too and makes it. Roger Thomas: Maria, would you like to dance? Maria: I don't know any of your dancing. Roger Thomas: Just stick with me. Maria: What do you call this dance? Dee Thomas: The "Funky Clutz!" "Hey Hey Hey" Why isn't this in syndication? This was one of my favorite tv shows growing up! as other users commented, it was the first thing i would turn on after school! it was not only the funniest show, but it dealt with a single parent home, and i was raised in a single parent home, so i related to it. 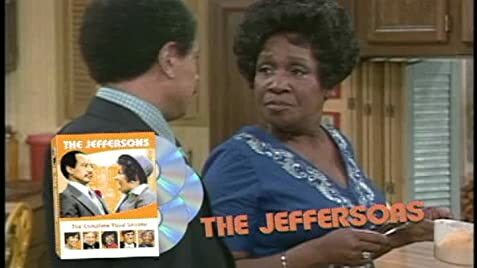 i miss seeing Raj make a fool out of himself, by being so nerdy and Dee, with all the sarcasm, you never stopped laughing....and Shirley, anything she said, made you laugh. i think if more people posted their comments, than maybe it will impact someone to syndicate the show! 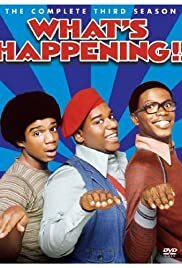 as you can see, the cast of the show never really made it, perhaps this could help their careers, so bring us RERUNS of "What's Happening"! we miss Rerun and all his dance moves...."Hey Hey Hey"!